Expedia Local Expert’s hotel connection allows access to a diverse traveler base for Sightseeing company. WestCoast Sightseeing is a tour company offering special experiences for guests in the heart of Vancouver. The business thrives on developing sincere connections with the people who join their diverse sightseeing tours--an attractive factor for travelers hoping to immerse themselves in the remarkable Vancouver nature and culture. However, the Vancouver market has become increasingly competitive as the region skyrockets in popularity. With the increase in pricing of accommodation preventing budget-concerned travelers from visiting the region, WestCoast Sightseeing struggled to grow a broader, international customer-base. As they value visitors of all ages and cultures throughout the world, engaging guests in this global marketplace became a priority. Sales Manager at WestCoast Sightseeing, Carolyn Bates, entrusted an increased amount of time and effort in the partnership with Expedia Local Expert® in order to utilize the large marketing capabilities of the platform. 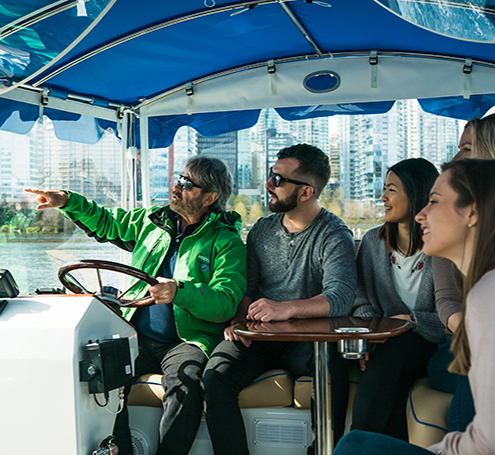 Expedia has the ability to cross-sell WestCoast Sightseeing’s tours with accommodation options providing members with well-priced holidays to the Vancouver region. The functionality to purchase both hotel and tour inventory instantly in one place provides a better opportunity for guests to travel to that destination, allowing WestCoast Sightseeing access to a larger and more diverse traveler group. A 10-year partnership with Expedia Local Expert has paid off for the tour company as they continue to see an increase in their overall business by utilizing the expertise of their Destination Manager. Carolyn cites a thorough understanding of her business as the cornerstone of the partnership as well as openly discussing mutually beneficial goals and resolutions.